The New Orleans disaster has the pundits racing for meaning, trying to identify the direction in which American society seems to be moving. Many feel we've been plummeting steadily downward ever since those giddy days before 9/11. America has lost its sense of itself, they lament. Maybe they’re correct. It’s certainly lost its sense of something. One searches the channels or newspapers or Internet for something, anything to cheer about and it’s heavy going. I have on my desk the announcement that new federal rules could allow power plants to pollute more, and I meant to write about it. But the headline that Mike Capellas, the CEO of MCI is to be due $39 million if he quits, takes precedence. Interesting word. His predecessor, Bernard Ebbers is due to serve 25 years in prison, but then there’s the appeal process and what is it my old daddy used to say? “The rich get rich and the poor get children.” Anyhow, Bernie gave greedy CEOs a bad name for a few weeks there, but bad reps seem to be a thing of the past in the board rooms of that gall street, Wall Street. You no doubt remember Bernie. He ran MCI when it was called WorldCom and sprang the deepest pocketed scam ever sprung on Wall Street. Shortly after Bernie’s world com was discovered to be a world con and he became an icon of con himself (as in con-artist and convict) the re-naming boys were called in. 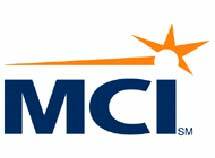 MCI became the choice of choices and thus began the work of shedding all that old, disappointing and embarrassing debt and replacing it (through the bankruptcy courts) with bright new shiny capital. I checked out MCI’s web site and it doesn’t seem to mean anything. I expected it to be a shortening of something like “Media Communications International” or somesuch, but no, it’s just MCI. They do promise to ignite your business, whatever that means. Bernie pretty much put the torch to over $200 billion of investor funds, so I would think MCI would be touchy about combustion slogans. So, Mike Capellas is supposed to be the man who ‘led’ MCI out of the darkness and into the sunshine. Somehow, along the way to sunnier days he also got a hell of a pay boost, from what most of us would recognize as a pretty healthy $3 million in 2003 to a whopping eight-fold increase that totaled $25 mil in 2004. He must have really worked much harder in 2004 than those old slack-off-and-play-golf days of 2003. But that’s still just sort of an interim increase. If he leaves the company after the Verizon takeover---did I mention Verizon is buying MCI?---he'll go home with a consolation prize of $39 mil. If all the other corporate officers stomp out with him, they get an additional $68 mil to divvy up down at the corner saloon. Who would have thought that chubby little Mikey, the terror of the third-grade playground, would one day walk away with all the marbles? No wonder he looks happy, fit and streamlined in the photo on the left. Now, whether this says something to you about American priorities in these days when the poor are left to die in New Orleans or not, is a question. The fact that investors worldwide are so willing to be consistently fleeced by crooked boards of directors in cahoots (I love that word---cahoots---has a nice old-timey ring to it) with CEOs from outer space, is a marvel to me. Their willingness to piss away the stockholder's money is astounding. Wall Street has become a huge game of musical chairs. All the players walk in circles, paying each other outrageous salaries and benefit packages because they know the music stops periodically. Then everyone has to find an overpriced chair in which to sit and the guy left standing goes to jail, usually for fraud. The reason this goes on is because they’re all the same players. It’s a kind of freewheeling buddy-system, a club. You write me a huge contract, I recommend you for a corporate board and then, a couple years from now, we change seats. I know the direction America is moving. It’s moving toward the care and feeding of the few at the expense of the many. How long that can go on is anyone’s guess.